On Saturday we had a full day of orientation and prayer around the city of Heidelberg with our full team and some of our German host pastors before the construction crew headed down to Neunstein to begin their work at the Teen Challenge center. We handed out hundreds of invitations and flyers for our daily outreach events, as well as special tickets for our concert at the Necar River Festival - a huge annual festival with thousands of people - on Sunday afternoon. We're on the run right now so we'll share more later when we get a break and some good wifi. Thank you for your prayers! This concert Sunday afternoon (12 noon Pennsylvania time) is an amazing opportunity and we need the Holy Spirit to surround us and empower our singing and speaking! 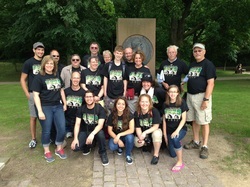 We left Christian Life Assembly in Camp Hill at 12:00 PM Thursday, June 13 with our team of 20 people and via planes, trains and automobiles (not in that exact order) we arrived in Heidelberg, Germany at 12:00 PM on Friday (6:00 AM at home). Our host pastor, Matthias Korsinek, met us at the Frankfurt airport with a smile and accompanied us the rest of the way to Heidelberg by rail. 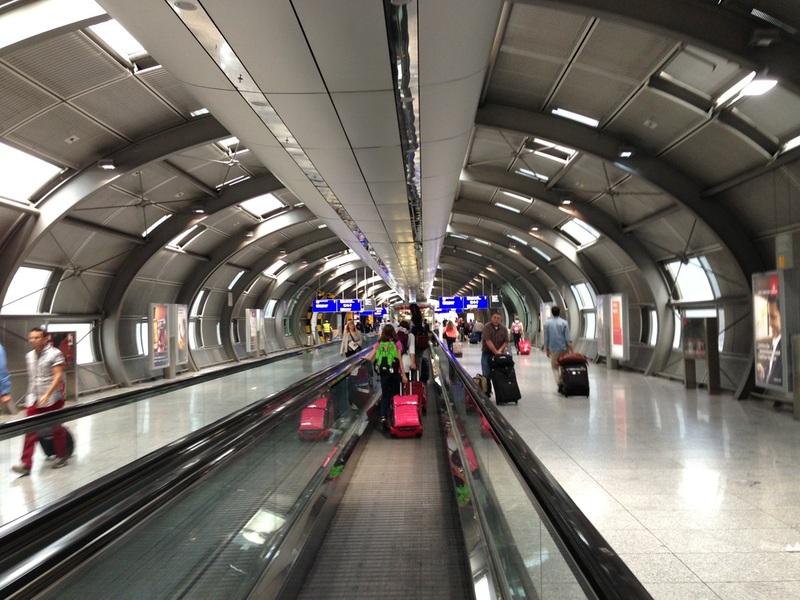 Our trip was fairly uneventful besides encountering the largest section of crying babies on the plane I had ever seen or heard and standing in the corridor of a packed train for 90 minutes as we traversed the German countryside to our final destination. We walked 3 blocks with all our equipment and luggage from the Heidelberg Train Station to Steffi's Hostel, and after naps and showers we closed out the day with a few orientation meetings, a team meal and a walk to the banks of the Necar River to catch a glimpse of the park where we will be doing ministry over the weekend and a beautiful sunset over the water. We will hit the ground running in the morning for a prayer walk around the city and distribution of several thousand postcards announcing our ministry events for the week. By the end of the day we will say "so long" to our 8 construction team members who will be heading to the village of Nuenstein about an hour away to begin renovation of the 1st and only women's Teen Challenge center in Germany. The music team will be busy day and night in Heidelberg with various outreach events, utilizing everything from acappella vocal numbers to unplugged acoustic sets (with guitar, accordian, sax and cajon) to worship services in churches with our whole band to a full-blown concert at a Necar River festival with several thousand people hearing the gospel through music. PLEASE KEEP US IN YOUR PRAYERS! 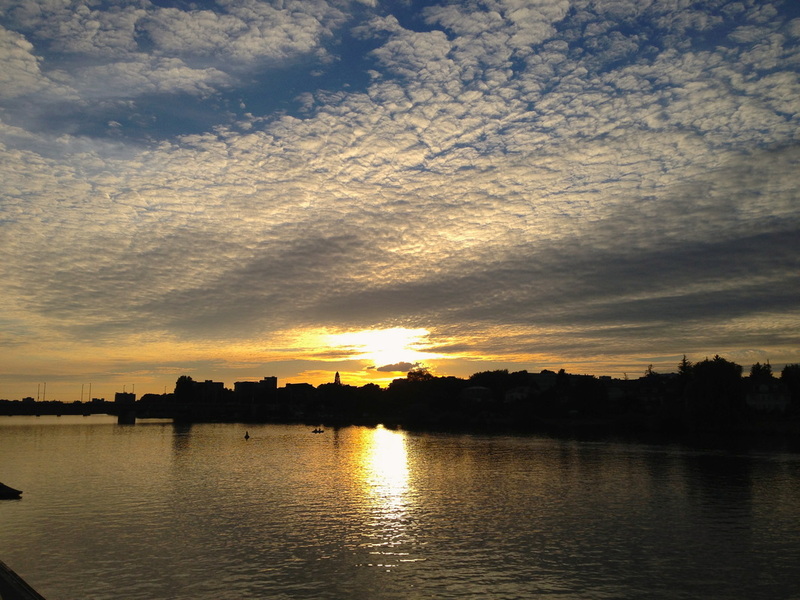 LESS THAN 2% OF THE PEOPLE IN THIS CITY ARE BORN AGAIN BELIEVERS IN JESUS. They aren't necessarily opposed to the gospel message we carry, but many have simply never had the opportunity to hear the Good News. Great to have 3 of my family members with me on this trip (R to L): my wife Shannon, youngest daughter Elise & nephew Kameron. 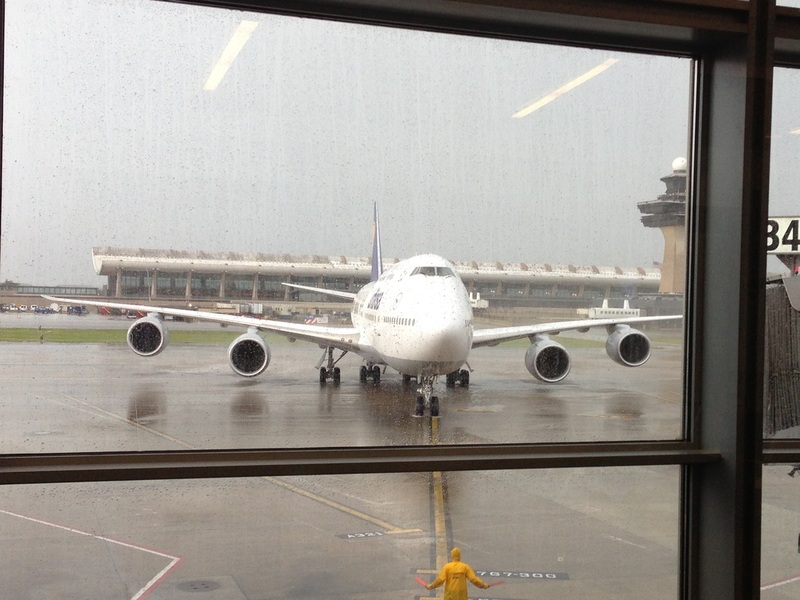 Our Lufthansa 747 picking us up at the Washington Dulles International Airport. 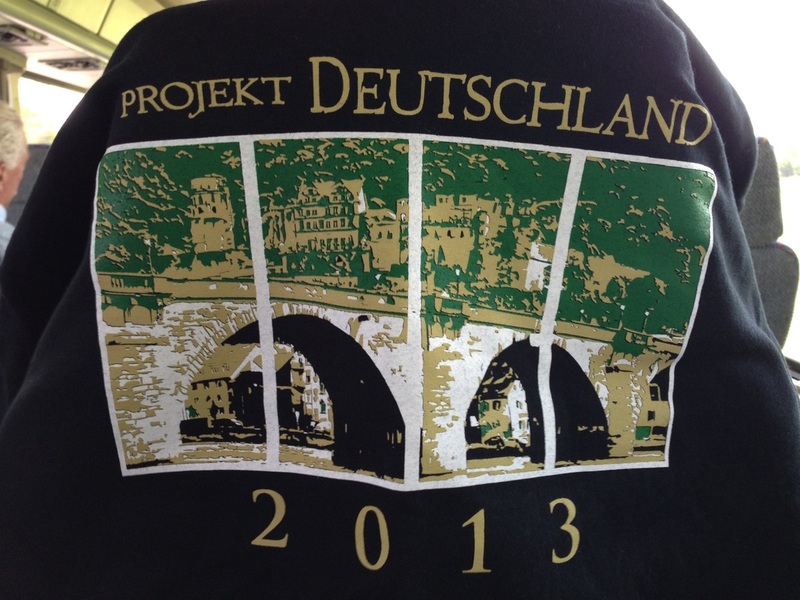 Our team shirt with the image of the beautiful city of Heidelberg (thanks for your help on the design Matt Oliphant! 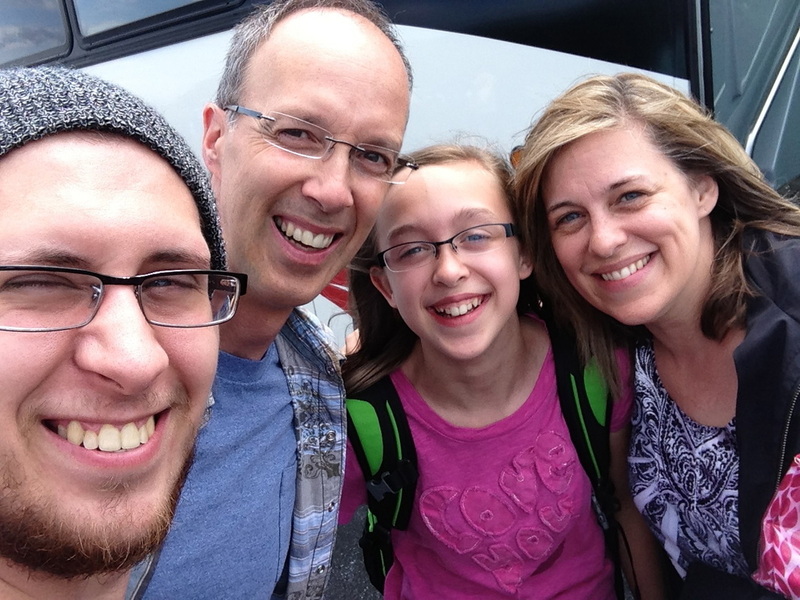 We leave tomorrow with a team of 20 people from Christian Life Assembly for Heidelberg, Germany. We are taking both a music team and construction team, and praying we will make a great impact for the Kingdom over the next 12 days. We'll be posting pictures, video clips and reports as often as possible. Find updates here. Thanks for your prayer! !